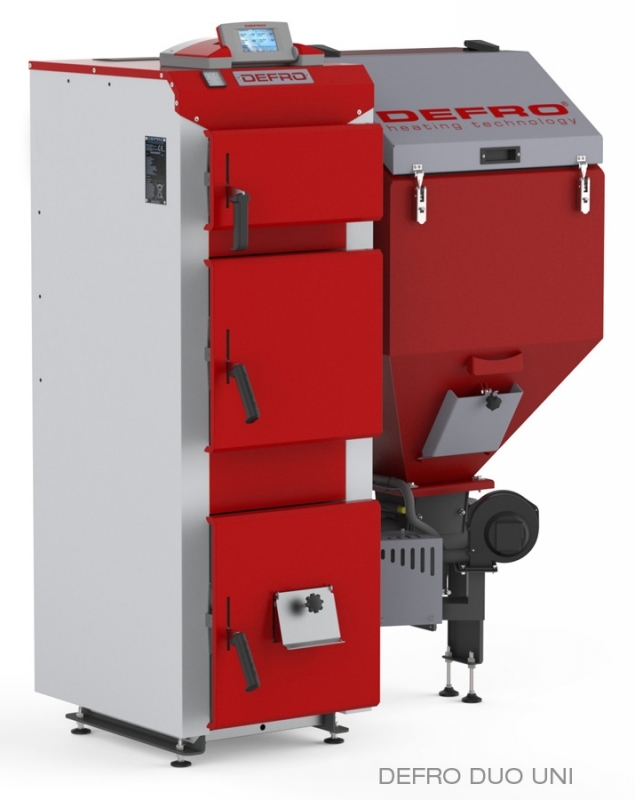 DEFRO DUO UNI boilers are the other two-furnace boilers. Bottom chamber is equipped with innovative trough burner allowing combustion of eco pea coal, qualified fines and crops grains. Upper chamber is created by fixed water-cooled grate, allowing periodical combustion of the other fuels and start-up of boiler in emergency situations. Heat exchanger of boilers is completely made of boiler steel of thickness 6-10 mm, while the individual components endangered with action of flames and substances in the flue gases - are made of thickness even 10-12 mm. Boilers are equipped with components increasing operational safety e.g. flap opening sensor, double protection against ignition of fuel in hopper - first implemented by the controller, the second - by automatic, water extinguishing system STRAŻAK (FIRE FIGHTER). Version with innovative controller with touch panel is available as a standard. 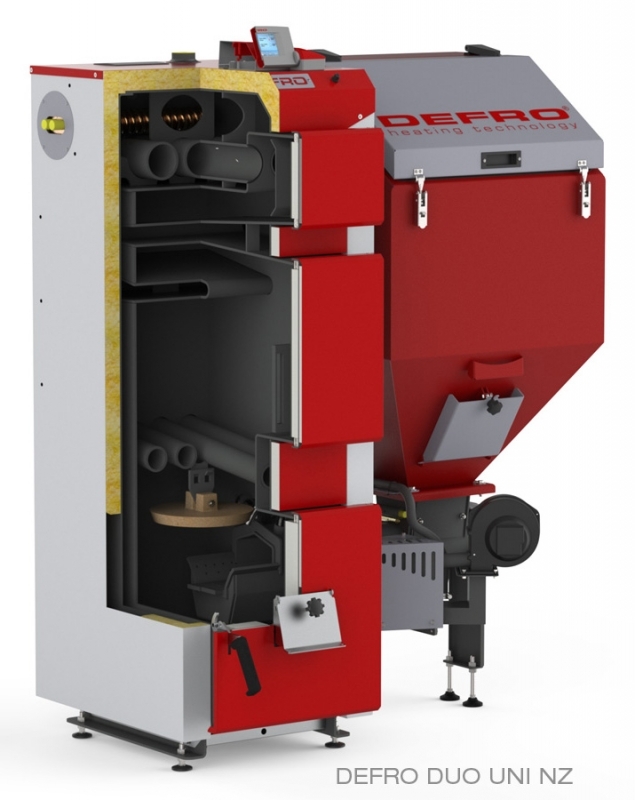 5 Details of burning pellets can be found in the manual of the boiler. 6 Extra paid option, installed on the customer’s request.